Enjoy taking pictures with your latest iPhone, Samsung, or Huawei device but wish you didn’t have to constantly pinch and drag at your touchscreen to get that perfect shot? Maybe you have shake-y hands or hate camera menus that can challenge your photo’s timing when you’re trying to get that perfect at-the-moment pic. While smartphone cameras continue to excel with their performance and quality, the phone itself is not always becoming easier to handle, even for the heavier mobile photographer. 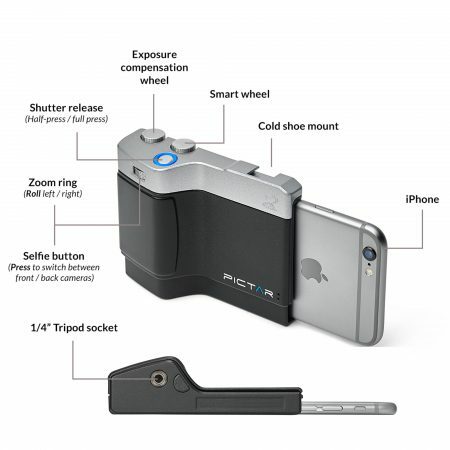 Miggo answers this with the Pictar One MKII and Pictar One Plus MKII smartphone camera grips. These grips do so much more than simply make your phone easier to hold. They give your smartphone tangible buttons and dials for taking shots, keeping you from having to fidget with your device’s screen. On top of that, you gain these controls without having to connect the grip and your device via wifi or Bluetooth. Simply install the Pictar app for your supported Samsung, iPhone, or Huawei device, insert your phone into a Pictar One MKII, and you’re good to go. With the varying sizes of mobile devices out there, especially with the iPhone and Samsung Galaxy devices coming in “plus” and non-plus sizes, the only differences between these two Pictar models lie in the size of the devices they can hold. 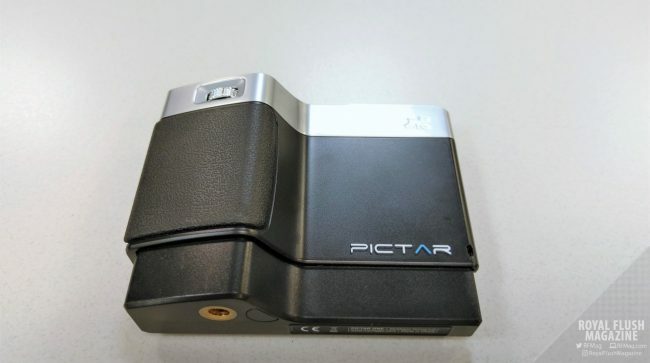 The Pictar One MKII can handle iPhone models 4s through 8 as well as the top “standard-sized” Samsung and Huawei phones. The Pictar One Plus MKII handles iPhone models 6s+, 7+, 7s+,8+, and X while also supporting the later “plus” or “Note” sized Samsung and Huawei phones. Here, we will take the larger Pictar One Plus MKII for a go in an in-depth review. Let’s dive in. OK, let’s let the cat out of the bag and explain how the Pictar One (Plus) MKII lets you use its buttons and dials to interact directly with your phone. It uses sound frequencies! The Pictar One MKII and Pictar One Plus MKII grips produce sounds at the frequency range of 18,500 to 20,00 kHz, which cannot be heard by the human ear. This is where the Pictar app comes in, as it uses those inaudible sounds to respond to the tangible controls on the grips. 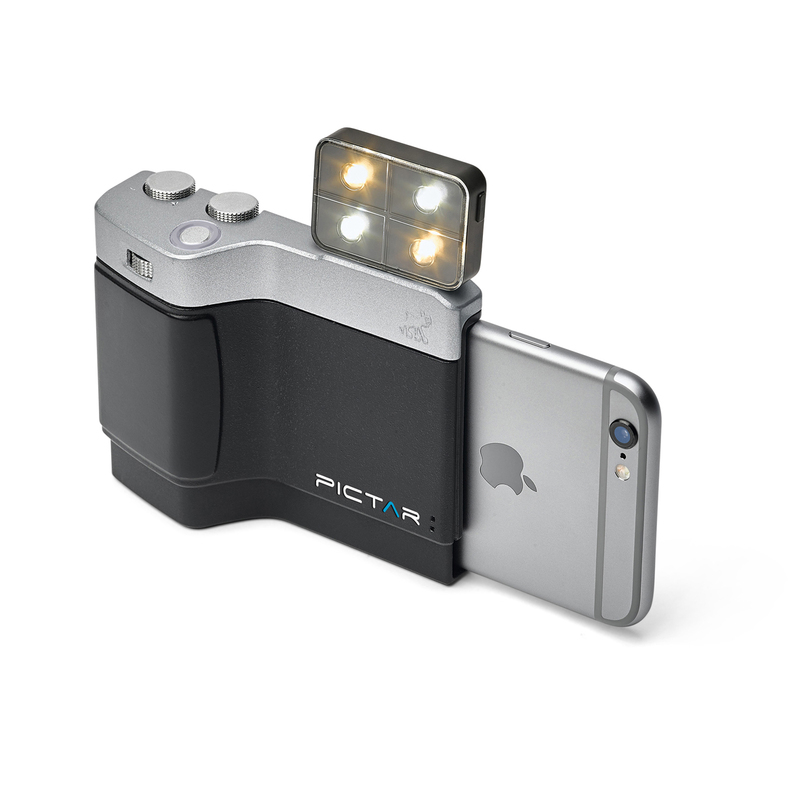 The Pictar app uses your device’s camera and your phone’s screen as a view-finder, just like any other traditional camera app. The Pictar One MKII and Pictar One Plus MKII are right-handed grips that emulates the button and dial placements of a traditional camera. You have two dials near the top-rear of the body, another dial on the front that can be pressed in, and on the top-front you have the shutter button for image and video captures. You also get a ¼” tripod socket on the bottom and a cold shoe mount on top for use with attachments such as soft LEDs for lighting. Through the Pictar One MKII and Pictar One Plus MKII, you can now use some of your favorite camera accessories with your mobile devices. The Multi-State Shutter Button is your traditional press-to-capture button, allowing you to even half-press the button to activate Pictar‘s auto-focus and auto-exposure adjustments. Simply follow up with a full-press to snap your shot, just as you would on a traditional camera. The Zoom Ring on the front is straightforward, zooming in and out with each “click”. However, it also doubles as a Selfie Button that instantly toggles between your device’s front and rear cameras. The Smart Wheel defaults as a toggle for the Pictar app’s various preset modes. It is also a programmable button, allowing you to change how it behaves to help suit your most common needs and use-cases. Last but not least, you have my favorite in the Exposure Compensation Wheel, which allows you to control the amount of light that the camera lens captures. A – Auto mode – ideal for beginners. Filter mode – for applying different looks to your pictures. Selfie mode – to enable the rear-facing camera. Video mode – for shooting movies. Macro mode – for taking close-up pictures. Sports mode – for capturing action scenes. M – Manual mode, total control of shutter speed and ISO, for advanced users. S – Shutter priority, for advanced users. ISO – ISO priority, for advanced users.